Auto-gates are among the most basic and yet the most effective forms of security for any kind of purpose and establishments. These act as a simple to install and maintain security option and yet act as a secure barrier, which is also pretty hard to bypass. However, there are various types of auto-gates out there, and which auto gate one may need depends on the type and area of establishment to be required. Read on to know more about the same. Auto or electric gates can be used for properties of all sizes, and due to their increased need and effectiveness, there has also been a reduction in the costs associated with installing and maintaining them. There are a variety of features that these come with now which makes them easy to install, maintain and yet provide an effective means of security. Auto gates are generally classified as machines, and proper care is necessary for ensuring that they have the correct features with respect to safety and regular maintenance is carried out. The first designed auto gates were a hydraulic model, designed primarily for their reliability and ease of use. However, since the cost factor associated with them was high, other companies began producing better and cheaper alternatives in the form of electromechanical mechanisms. While hydraulic motors are preferred when it comes to heavier gates since larger torque can be produced through it, an electromechanical mechanism is primarily employed for the lower-usage domestic installations since their production is more cost-efficient. As of now, both electromechanical and hydraulic mechanisms can be found and applied, depending upon the usage and area. Before everything else, the safety of the gate itself is a point that should be carefully considered. 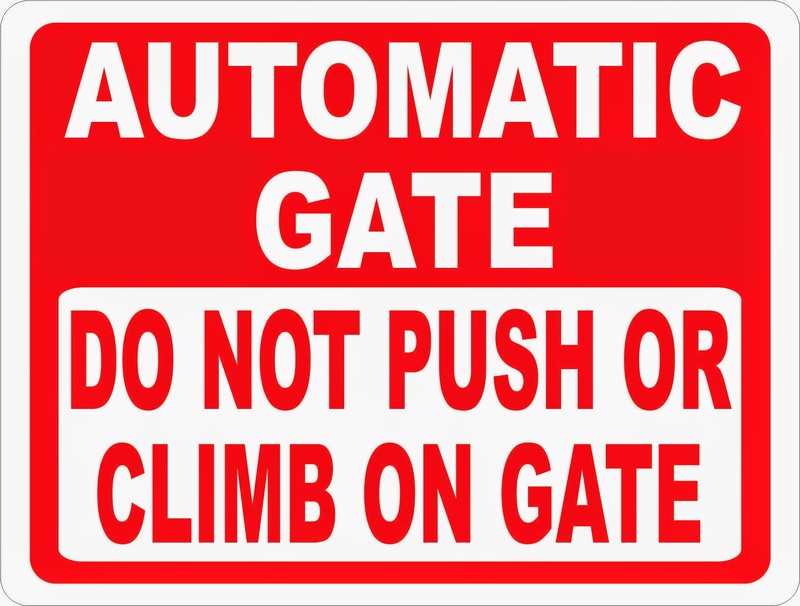 For instance, the EU specifies the European Normalizations for the safety of automated gates. This is majorly done since any automated gate not fitted keeping safety in mind can turn into a major hazard, especially for untrained users. There are a variety of safety measures which must be used to meet all of the American or European safety standards. Along with an auto gate, there are also electric locks employed to guarantee a secure environment. These gates are recommended to be used along with additional security features for guaranteeing a fully secure environment. Aside from the additional security features, the gates themselves have features such as sensors, which help determines if there are any obstructions which may cause the gate from closing, such as somebody’s hands or any vehicle. For preventing any damage to the gates by fast moving vehicles, speed bumps may also be installed before them in order to decrease the speed of the vehicles. There are both American and European regulations for making the gates and their attached security measures safer in their own sense too. These regulations state that the installer of the auto-gates is the one responsible for confirming that all regulations are met and adhered to, and not the manufacturer. The En12453 regulations state the safety levels are to be observed while installing the gate too, and there are testing methods to check the same which are stated by EN12445. The major points in the same include the methods which should be applied for testing the amount of force at specific points. For instance, a maximum of only 400N force can be applied in the last 300mm and 500mm travel of the gate. It is also mandatory for a full risk assessment of the gates which must be carried out, including all crush and cutting points which should be shown to the client. Appropriate protection services should also be offered, and a recommended maintenance program is also compulsory to be given. The gate system also has to be checked using a calibrated force tester, and the results from the same are to be kept in a technical file for 7 years in case the tested gate does not comply with the regulations. This particular type of auto gate is used for gates that have wide posts which can allow for openings in small pieces. This is an easy system, especially for DIY installers for these are simple in terms of their installation but not aesthetically pleasing in comparison to other designs. They are also referred to as Crank arm operators, and are the main kind of automation systems which are sold in France. An under-gate jack operator controls the auto gate by a direct movement of the pivot point of each gate leaf. The advantage of this is that apart from making it ideal cosmetically, it also makes it possible for the leaf swing to go up to 180 degrees. However, a disadvantage is that the control of the pivot point of the gate is similar to opening a door by twisting its hinge, which can be difficult due to the loads needed at that point. This is why they are mostly recommended in domestic environments where there is low risk of abuse environment. Link or ram arms are comparatively easier in both installation and maintenance. This type is also visible to the abuse which is otherwise ignorant, since they fix down every gate leaf, and thus also possess a major mechanical advantage over Jacks. Additionally, they are more user friendly in terms of operation since their manual release is above ground level at all times. A sliding gate is the best suited option in those cases where the space is a factor, or if the driveway behind the gate would be a steep incline. This kind of an auto gateis also popular in commercial environments, and they are also used in the cantilever gate systems. Thus, choosing the right kind of gate is as important as making sure that all of the safety regulations with regard to installation and maintenance are met with. So while choosing the right gate, pay attention not only to the manufacturer but to the installer too- for every aspect needs to be taken care of to provide the security that cannot be bypassed.